I thought it was about time I mention Face Oils or as I call it amazing skin in a bottle! Iam obsessed with face oils, they have literally changed my skin! My main problem with my skin is texture and a little bit of acne scarring, and this has improved the texture of my skin, has helped the acne scars to fade and even helped to minimise my pores, not to mention it keeps my skin super hydrated, in the winter I was very dehydrated and this fixed that problem. You use it in the evenings after you cleanse and before your moisturiser ( lately I have been skipping my moisturiser and the product on its own works amazing! When I wake up I have amazing, plumped looking skin! I haven´t used anything else in months, and the times I skipped this my skin wasn´t having it!! She was like Gurrl where is my fabulous Face Oil ?!? Give it back! The ones I recommend are: Clarins Blue Orchid Face Treatment Oil ( My Favourite!) - for dehydrated skin( they have different ones for oily and dry skin, I also have the one for oily skin but I prefer this one I have seen more results with it) As you can see from the picture I´m almost out of it! 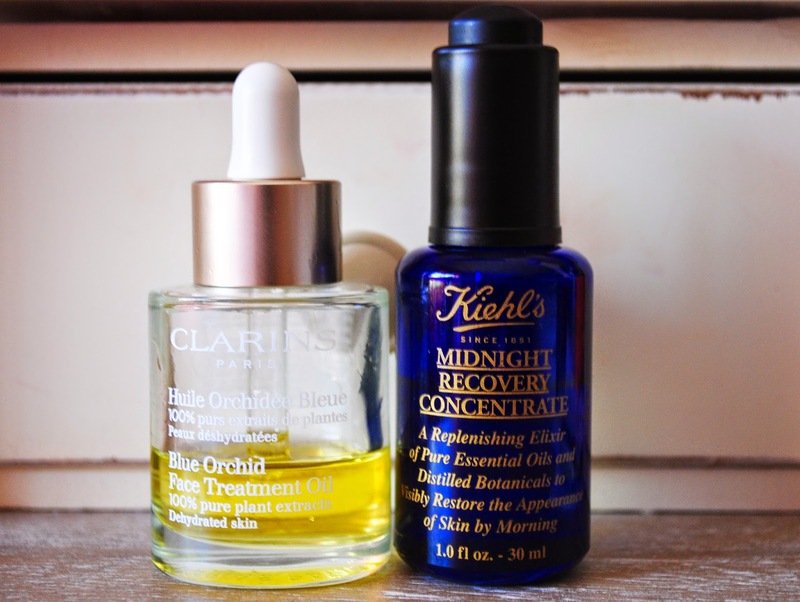 And Khiel´s Midnight Recovery Concentrate- Its a Cult Product for a reason! I think it´s one of their best sellers. I really think these are Miracle Workers! Bold statement? I know, this is how much I Love them! Have you tried Face Oils? Do you like them?